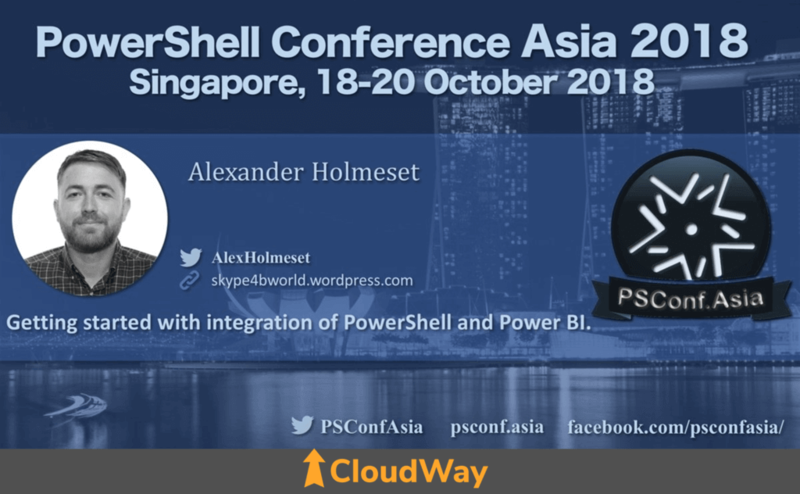 Our automation enthusiast, Alexander Holmeset, will be giving two talks at PowerShell Conference Asia 2018, October 19-20. He will share his session on integrating PowerShell with PowerBI and how to work with creating automatic visualization in PowerBI based on PowerShell data. These are highly useful sessions for ITPros working with Office 365 and needs to report on activity and statistics and make them available to business decision makers and product owners. When you work with Power BI you have a large variety of data sources to choose from. But have you ever thought, why cant i push data directly from PowerShell? That would be really handy sometimes as many of us spend most of our days in the commandline. In this session i will guide you into this wonderful world. Will demo how I use PowerShell for reporting Office 365 Groups data in Power BI. Complete from what prerequisites is needed and how to do a completely automated report/update of data in Power BI. I will go trough my reporting script and show how to create a reporting template others can use after you. I will guide you on the path to setup a fully automatically and visualized report with PowerShell, Power BI and Azure Automation. This way less privileged users can access system data without needing any admin rights. If your eager to extract and understand usage metrics in your organisation, this session is for you. The PowerShell Conference Asia resumes for its 4th year this October, bringing speakers from Asia and around the world to deliver in-depth PowerShell and DevOps sessions. Speakers include the Microsoft PowerShell Product Team from headquarters in Redmond and a strong line-up of MVPs, well-known international speakers, and community contributors.